The August SAT offers a lot of benefits that other test dates don’t. If you’re considering taking the August SAT, be sure to stay mindful of the registration deadline. It can sneak up on you as summer break flies by. 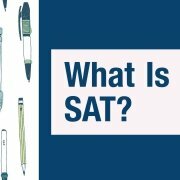 Why take advantage of the August SAT? Read on to learn who benefits most from this test date and who should avoid the August test. Rising seniors have a lot to worry about as school starts: a heavy load of AP classes, leadership roles in clubs and teams, college essays, and everything else that goes into college application season. 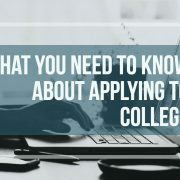 With all of that stress, the last thing seniors should do is wait until October – the height of college application season – to finalize SAT scores. Any rising senior who still needs a boost to SAT scores should take advantage of the August SAT to get testing out of the way before the demands of school and the application process hit in full force. The August SAT offers one last chance to boost SAT test scores for early applications. While some schools might have early deadlines that are just late enough for the October test date to hit the cutoff, it’s not worth the added stress to wait until the last possible moment to take the final SAT. Instead, any student applying to college early should take advantage of the August SAT for that last chance to see a score boost. The most dedicated rising juniors might consider taking the August SAT as their first official test date. This offers a chance for some real practice before the PSAT/NMSQT, allows the student to get the first test date out of the way before school demands start in earnest, and takes advantage of summer SAT prep. Who SHOULDN’T Take the August SAT? The August SAT is not the best test date for all students – in fact, there are some students who should avoid the August SAT in favor of later test dates. 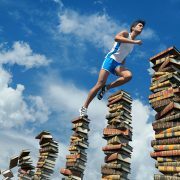 The biggest advantage of the August SAT is that it allows students to maximize summer SAT prep. 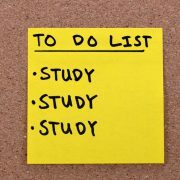 Instead of prepping over summer and forgetting everything before the October test date, students can take the test while the material is still fresh in their minds. Students who don’t use the summer for test prep should probably wait to take the SAT after they’ve done a good bit of SAT prep, possibly in the winter or spring. Some students start their SAT test prep early – and that’s great! – but even sophomores that have already started their SAT prep would be better off waiting to take the SAT. First, a lot of the material on the SAT won’t be covered until 10th or 11th grade math classes, so it’s better to wait until you’ve got a firmer math foundation to work with. 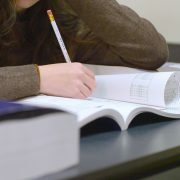 Second, colleges generally prefer to see SAT or ACT scores that are more recent – usually spring of Junior year or fall of Senior year – so even if you managed to reach your goal score on this first test date, you’d likely still be better off retaking the test closer to application season. Learn more about the pros and cons of certain SAT test dates by visiting a local C2 Education center for a college roadmap session!